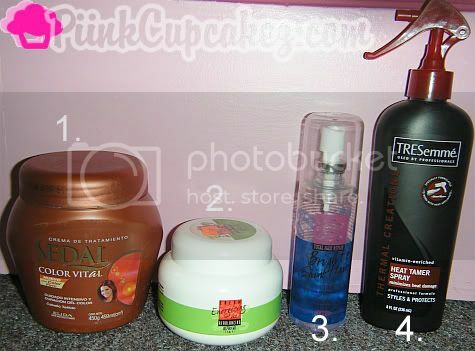 i was asked by Ana @ BrutalBeauty to do a post stating what hair products i use. It's an intensive treatment for colored hair that you leave on for 20 mins. It helps protect your hair and extend your hair color. *Sunsilk is the American version of Sedal. I don't know what Sunsilk product it would be though. If you find out let me know! it says "It gives your hair a more moisturized and stronger structure leaving your hair shiny." It can be used as an intensive treatment or a no rinse treatment. This is a glossing spray which adds shine to your hair without weighing it down. After my hair dries(before flat ironing) i spray this into my hands and work it through my hair. it says "This product guards against heat and friction to keep your hair shiny and incredibly soft. This is the last product i use in my hair right before straightening it. The first 3 items were given to me by my mom. I think she bought them while in the Dominican Republic. After i finish the Alter Ego products i will def. go searching for something cheaper lol and will have a new hair product post up. I wash my hair 1-2 times a week. Washing your hair everyday strips your hair of its natural oils. tip: when your hair gets oily and you're in a rush or just too lazy to wash it.. sprinkle baby powder in it and brush it through to get rid of your oily hair. 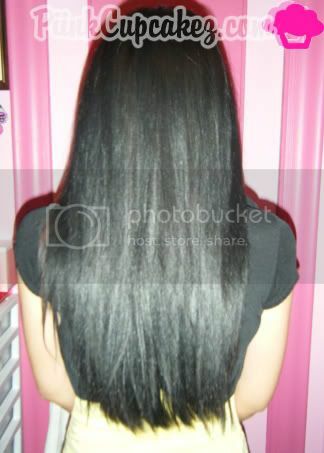 Ur hair is beautiful <3 thanks for the tips I usually only use the heat taming spray. 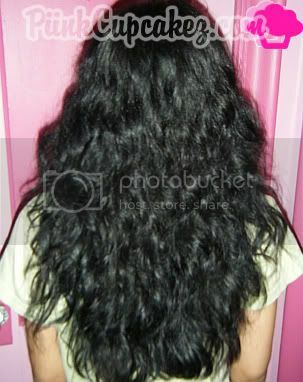 Your hair is beautiful either curly or straight! Tell your mom to send me some next time you guys go there. LMAO! I have similar hair as you. I'm always looking for good products to flatten with. Thanks for posting! ur hair looks greatt !!! !